Lunches are provided free of charge for your child in St. Mark's S.N.S. under the School Meals Programme operated by the Department of Social Protection. 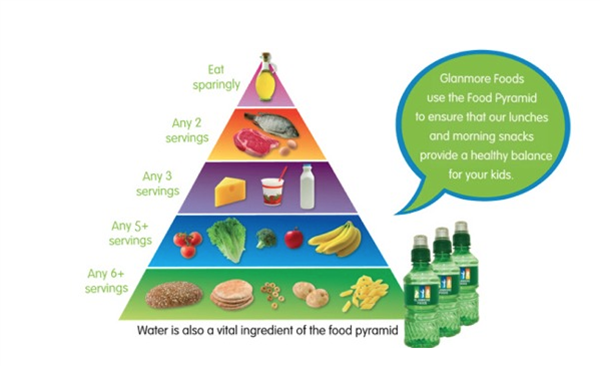 Lunches are provided by Glanmore Foods. Each child will be given a water bottle container when they first join the school. Parents are requested to fill this container each day with fresh water. The children may top up the water bottle in school from the drinking water tap in the classroom. All unfinished lunches and packaging should be brought home. All fizzy drinks, crisps, sweet items and chocolate. Include healthy lunch options e.g. sandwich, pitta bread, rice-cake, etc. Teachers will inform pupils if they may bring 'sweet' items on other occasions. e.g Christmas Party, school tours etc.